On Friday March 27th, we canceled the Virginia State Bar’s planned Midyear Legal Seminar trip to Israel. The decision was based primarily on a U.S. State Department advisory: http://travel.state.gov/content/passports/english/country/israel.html, “Entry, Exit & Visa Requirements.” We were forced to conclude there were potential difficulties some of our VSB members might face in obtaining entry to Israel. Additionally, we were well short of the required number of confirmed attendees necessary for the trip to proceed. President-elect Edward L. Weiner, chair of the Midyear Legal Seminar Committee, communicated with the Israeli Embassy. An embassy official expressed a desire to facilitate the trip but acknowledged that security protocols are strict and could lead to exclusion or restriction of some VSB members. In the face of this information, we felt it necessary and appropriate to forego this trip. This was not a political decision and is not a “boycott.” We are an inclusive organization and do not discriminate against any religion. Unfortunately, some mischaracterized this decision as anti-Israel and anti-Semitic, even going so far as to mislabel it as a “boycott.” Although the message was sent over the president’s signature, we jointly drafted and approved what was sent Friday night. Apparently we could have done a better job of explaining the situation and decision. We are writing now to provide further clarity. Our decision was not based on any political factors or influences. We understand that Israel is in a difficult position when it comes to security. We are not expressing opinions regarding Israel’s border security measures. We are merely recognizing the reality that our very large and diverse membership, consisting of well over 40,000 members, includes individuals who may encounter lengthy examination and possible rejection in attempting to navigate the immigration security procedures in Israel. You may recall that on March 25, 2015, we sent a message urging VSB members to sign up for both the Israel trip and the Annual Meeting in Virginia Beach. We very much wanted the Israel trip to be a success and were trying to reach the required number of participants for it to be a go. We deeply regret that a combination of circumstances led to the trip’s cancellation, and we also regret that our good faith efforts and decisions may have been misinterpreted and misunderstood. We remain committed to the core objectives of the VSB: public protection, access to justice and improvement of the legal profession. Thank you for reading and thank you for allowing us the privilege of serving. So, because Israel has semi-secure borders (not as secure as they should be, and dares to keep out those who support its destruction and homicide bombings against its civilians, the State Bar of Virginia can have none of that. And it can have none of the Jews or the Jewish State. 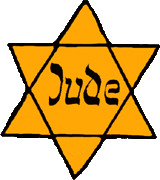 After all, that’s what this is really about: giving in to Muslim Jew-hatred and a desire that all things be Judeinfrei. Today, the State Bar of Virginia, tomorrow, something closer to home. Barack Obama and the Muslim world have set this in motion and, now, we see that their Jew-hatred has metastasized in American institutions permanently. It will only get worse, as the cancer spreads and kills. 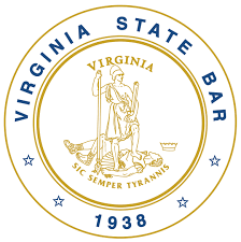 By the way, you’ve probably noticed that the State Bar of Virginia contains the state’s motto, “Sic Semper Tyrannis”–Thus, always to tyrants. I guess by, “thus,” they mean capitulation. VA Jewish lawyers should give Edward L. Weiner and the State Bar their middle finger and attend the event. So the Star Bar won’t officially hold it? That’s its loss. 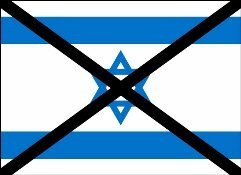 Jews should not go along with Jew-hatred and BDS. We know Obama is siding with Iran over Israel. Now its time for American Jews to stand up and be counted. Which Jews are you asking to stand up and be counted? The 75% who voted for Obama? They’ll certainly stand up and be counted……for Obama. The bully will always win if there are enough cowards who will not stand up for their rights. 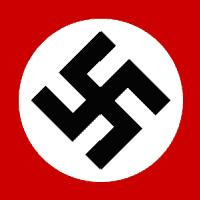 Decades ago historians and other academics marveled how a small group of villains ( the Nazis ) took over a stable prosperous and educated society ( Germany ) with very little effort. No need to marvel, there were too many otherwise good people who did nothing to oppose them. The bullies will always win when there are enough cowards. The muzlum pigs will win because nobody opposes them. Apparently there would have been security problems with some of the VSB members. What type of security problems? In what way were they supporters of terrorism? uh, lengthy security problems and rejection????? It is hard not to think that this is part of the liberal distaste for Netanyahu’s victory. Also, I wonder what part the Federal Government played? Did they do anything other than write the ‘advisory’? How many of the lawyers involved in this decision have lucrative business with the Feds? Was it suggested by the Feds that their Government business would be imperiled if the trip was not canceled? And, of course, in lawyerly manner, a back-handed slap against Israeli security, and against Israel itself, in spite of the VBA’s protestations. Because of the uh, diverse membership of the VBA, some members might have had security problems getting into Israel. So there really is a political jab against Israel here. Their security requirements interfere with diversity. I wonder how many of these, uh, security-challeneged VBA members really belong in jail? I wish we knew more about the type of diversity represented by the VBA membership under discussion and why they would have trouble with Israeli security. Is this because we live in the world that George Orwell described in 1984? One week Oceania is the enemy, the next week its the ally. I have some upclose, personal and painful experience of this myself. The day before WW2 ended my dear aged father – a Polish para fighting on the Allied Side – was “our gallant ally, the Poles”. The day after, he was a “fascist thug”. “In the summer of 1946, the huge victory parade takes place down the Mall in London. Two million onlookers cheer wildly as King George V1 takes the salute from Allied soldiers of dozens of nations. In the skies overhead there is a massive fly-past. but though they are the fourth biggest Allied army, no Polish forces march that day. The new Warsaw regime, at Stalin’s insistence, ignores its British invitation and stays away. And the Free Poles have not been invited. Anyway, they have nothing to celebrate. While everyone else is jubilant, many of them watch the victory parade in tears. “When a Crocodile Eats the Sun”, Peter Godwin. The politics can change in an instant. Why not be “no part” of them, as the God of Abraham asks? We can rely on Him and His inspired word, which is a rock of truth in a world full of spin. And its a beam of light in a very dark place. I hope to be out on the door to door work this morning telling people about it. A rescue is so close at hand for all who will take hold of it. Shaddup, sue. Keep your proselytizing at the doors. Oh, Virginians, it seems you have lost any semblance of courage. So, now, do not expect anyone to save you should the need arise. I find it pretty courageous what they did. Apparently there is more going on here than what the Virgina Bar is saying. Judicial Watch is filing a Freedom of Information Act request with the Virginia bar to find out what happened. Well what can you expect from a state whose people elected a crook and a fraud as their governor in one Terrence McAuliffe. Remember that bum from the first Clinton presidency. I say first because if we’re not careful the old PIAPS will slither back into the White House with her clean email server in tow. The VA Bar with that wishy washy scumbag Eddie Weiner(aptly named) is just par for the course in a state that I was once happy to reside. It also begs the question of how can Jews support the O’Clown when he’s treated Israel like a doormat while bending over and taking it in the presidential shorts from Iran. Isn’t Virgina the state with the second largest mussellman population in the USA? Why are we surprised? 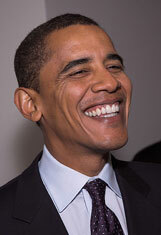 Obama is America’s first Chrislam president. 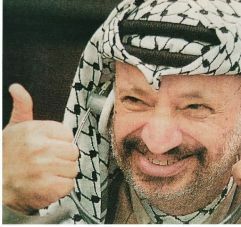 He is also America’s first BDS president. This is just building momentum for what’s coming at the UN. This I’ll repeat until I’m blue in the face. Anyway the hour is very late now. What greater slander could there be as far as Chrislam is concerned than the state of Israel and those who tell the truth about it? Chrislam is just a preliminary form of Islam where the absolutes of Christian faith have dissolved and are coalescing into a new simplified and degraded form. When the Virginia State Bar capitulates to anti-Semites in such a craven manner, we are in a very sorry state of affairs. It’s probably just me, but I didn’t find any mention of actual anti-semites in Debbies, er, piece. Who pressured the VA bar? In other words, this “diverse” group contains jihadis about which Israel’s concerns are understandable but not a matter the VA bar will take a position. Yes, of course. It is clear that anyone who can’t get a visa for Israel must be a jihadist.